Please bring a side to dinner. It’s the request I dread the most. I know it seems fairly straightforward, but it’s not. Appetizers are easy. Cheese platters, smoked salmon, and yummy dip are all easily prepared and transported. Once at the event you just set them out. No reheating. No cooking on site. Nope, they just need put on a table and enjoyed. Desserts are the same way. Pie doesn’t need to be hot and cookies and brownies don’t even need slicing. Aside from making them, all you need is a pretty platter and you’re a domestic diva (or dude). Yes, desserts and appetizers are easy while sides are an entirely different beast. Sides need to pair well with the main dish and are usually served hot. This means that you need to do some detective work ahead of time and then on the night of the dinner, in your fancy-schmancy clothing, you need to either transport a hot platter of food or attempt to reheat the dish in the overcrowded oven of your hosts. Oh, and by the way, if your planning on reheating your food at 350 degrees I can almost guarantee you that your host will have the oven set to a blazing 450. I’m not exaggerating. This is the way the world works for the perpetually unlucky (aka myself). Which brings us to the question of whether there is a hot side out there that is actually easy to take to a dinner party. And there is. Over Christmas, my mother made “Garlic Braised Green Beans” from Bert Green’s cookbook Greene on Greens. This dish is a snap (pardon the pun!) to prepare and is easily reheated in the oven or the microwave. Are you falling in love already? On top of being very simple to make, these beans are also delicious with enough butter and luscious garlic to make them the hit of the dinner. Ready to take advantage of a good thing, I made a batch of green beans for New Year’s in the mountains with friends. They traveled three hours in a cooler in the car before I reheated them in the oven for 20 minutes, zapped them in the microwave when dinner was a little delayed, and then reheated them again in the oven the next night for leftovers. Every time they were delicious and with that being all the proof I needed I tucked this recipe away for safe-keeping. At the next dinner party I attend, I may just volunteer to bring a side. Aside from being delicious, these green beans are easily reheated in the oven or the microwave making them the perfect thing to bring to a dinner party or potluck! 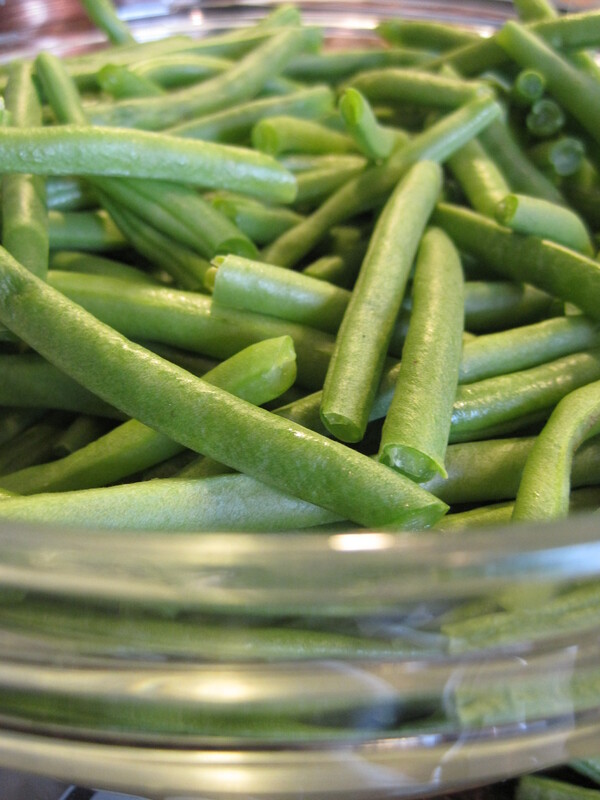 Cook the green beans in a pot of boiling water until tender, about 4 minutes. Drain beans and place in an ice water bath to cool and stop them from cooking further. Drain again and reserve. 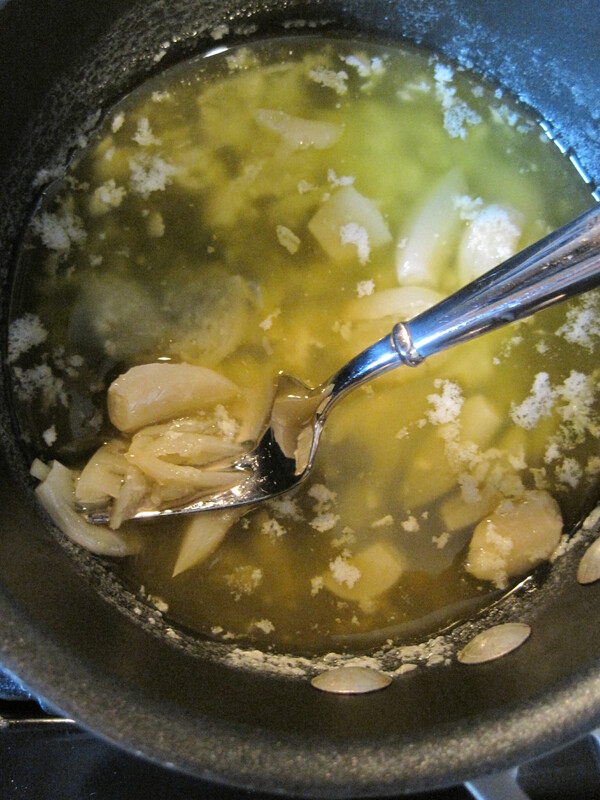 In a small saucepan, melt the butter over low heat and add the garlic cloves. Keeping the heat on low, braise the garlic for about 25 minutes or until the garlic has become very soft. Be careful not to burn the butter. 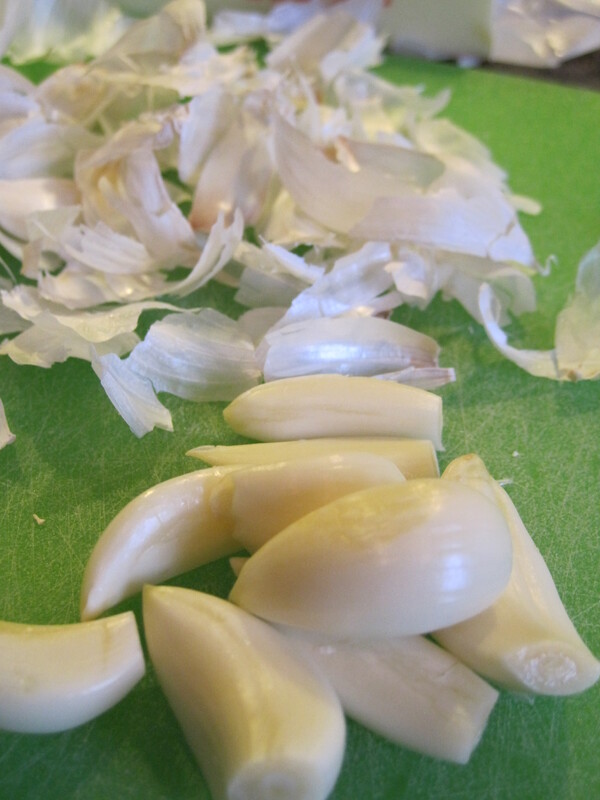 Break the garlic up into smaller pieces using the tines of a fork. 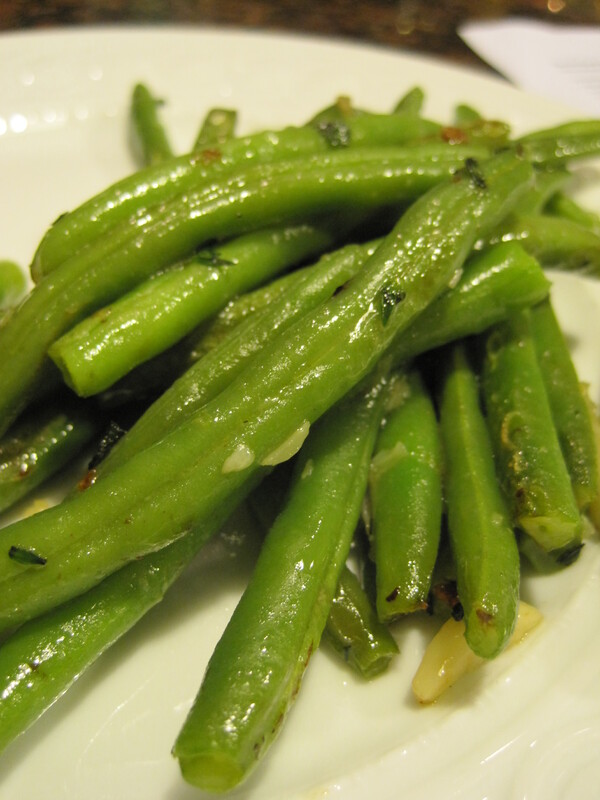 When ready to serve, toss the green beans with the garlic butter mixture in a skillet over medium heat to reheat. Right before serving, toss with the fresh herbs and season with salt and pepper. Reheat this dish in a 350 degree oven for about 15 minutes or microwave for about three minutes. Or, if you are so inclined, reheat them in a skillet. I can attest that they were delish both nights! I’m adding this one to my recipe stash asap. Thanks for sharing, Nikki! I brought these to Thanksgiving last year and they were a huge hit so I’m making them again this year! And you’re 100% on target, these really DO reheat well either in the oven or microwave. I’m doing 2.5 lbs of green beans (we’re a big crowd) so I upped the butter a bit and threw in a few more cloves of garlic (can there ever be such a thing as too much garlic I ask you???) You can easily prepare the garlic the day before (I braised the garlic in the butter last night and nuked it for a minute this morning to melt it again). The aroma in my house last night and again this morning is intoxicating! Great recipe and thanks for sharing.